If Emily decides to clean the house, she’ll want to start with the kitchen. She’ll want to avoid harsh chemicals, so she’ll reach for a microfiber cloth. 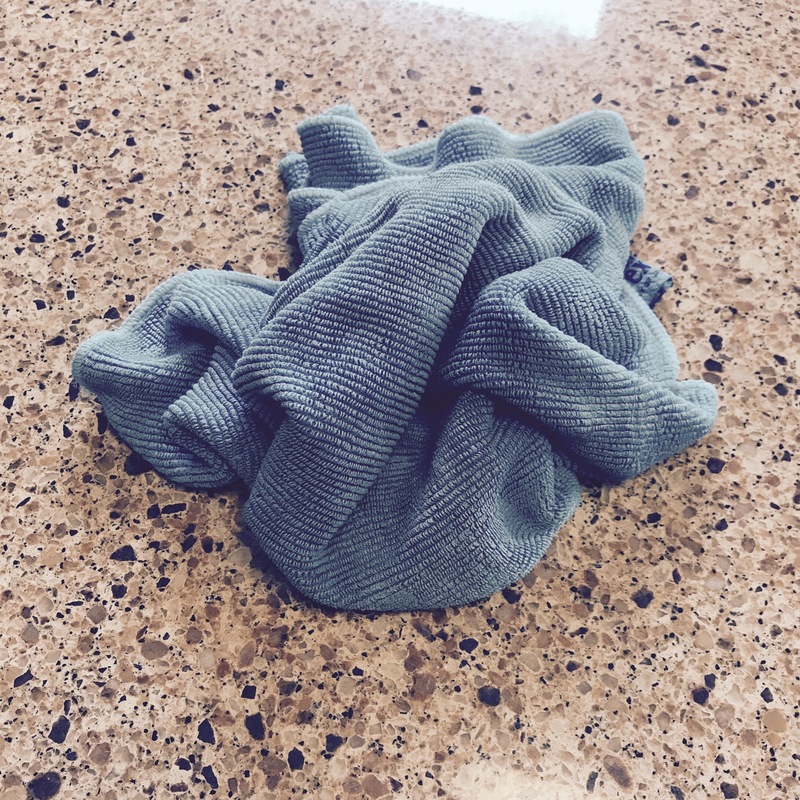 If she picks up the microfiber cloth, she’ll realize it had been left in a ball and smells disgusting. She’ll decide to throw it into the laundry. If she tries to throw it in the laundry, she’ll realize there is a load in the washing machine that needs to be dried. If she tries to throw the wet laundry into the dryer, she’ll realize she needs to first take some clean clothes out of the drier. 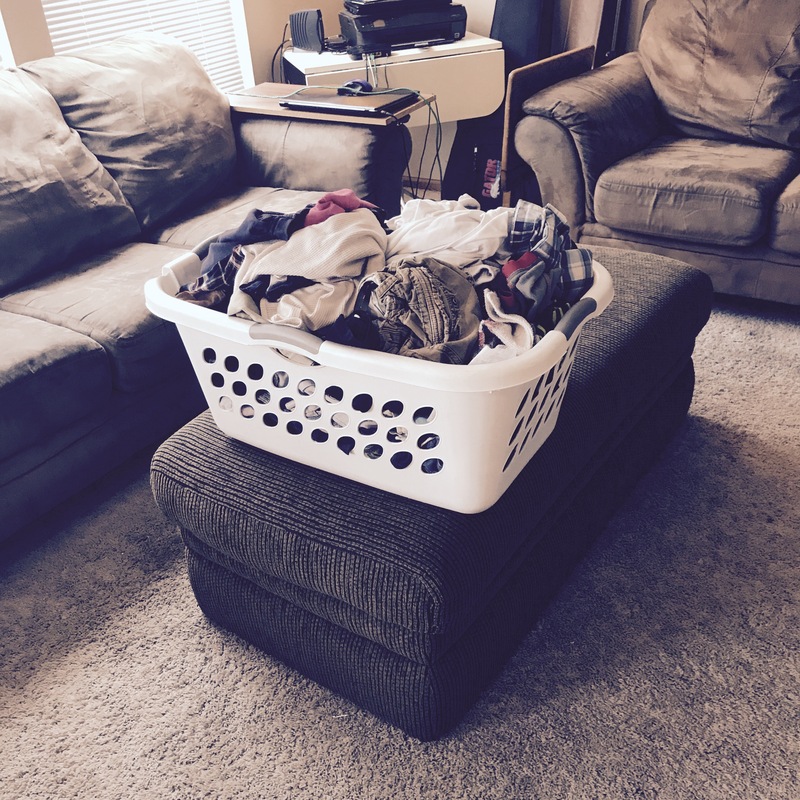 If she takes the clothes out of the drier, she’ll need a place to fold them, so she’ll take them into the living room. If she goes into the living room, she’ll realize that her living room is a disaster, so she will leave the basket on the ottoman and begin to pick up the toys. If she picks up the toys, she’ll realize that her kids have baskets full of unused and/or broken toys, and she’ll want to clean out the toy baskets. If she cleans out the toy baskets, she’ll remember that she forgot to eat breakfast. She’ll go into the kitchen and see what a mess it is, and she’ll want to clean it up. She’ll begin with clearing the counters, so she’ll pick up the dishes and take them to the dishwasher. 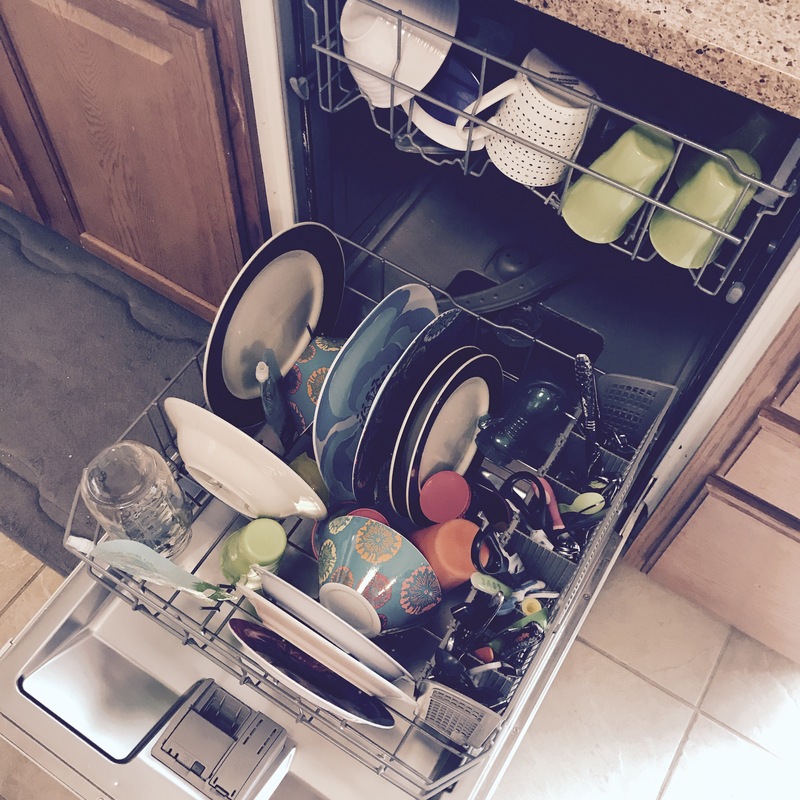 If she takes the dishes to the dishwasher, she’ll realize the dishwasher needs to be emptied before it can receive another load. She’ll decide to leave that task for a moment and focus on preparing something to eat. On her way to the pantry, she’ll step in something sticky. 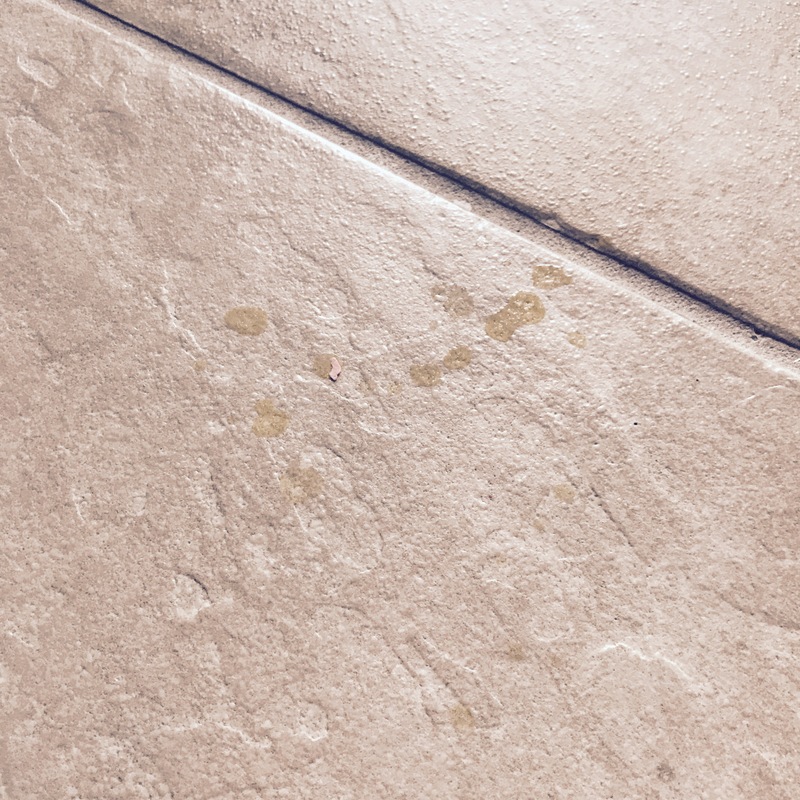 If she steps in something sticky, she’ll want to wipe it up, so she’ll look for a paper towel, a sponge, or another microfiber cloth. If she’s not able to find anything to wipe up the stickiness with, she’ll check the drying rack in the laundry room for a clean microfiber cloth. If she checks the drying rack, she’ll realize that she forgot to start the washer and dryer, so she’ll start both of those. She’ll find a clean microfiber cloth and begin to wipe up the sticky spot. If she wipes it up, she’ll realize that one of her five kids must have made this mess. She’ll start to berate them in her mind for being lazy and entitled children. But she’ll realize that it is a futile line of thought and that ultimately, it is her fault for not enforcing chores more consistently. She’ll berate herself for not enforcing chores more consistently. If she wipes up the sticky spot, she’ll realize the floor needs to be swept. She’ll sweep the floors and try to dump the debris into the trash can, but she’ll see the trash needs to be taken out. If she sees the trash needs to be taken out, she’ll take it out – but only to the garage – and look for a fresh trash bag. If she looks for a new trash bag, she’ll have to move the dishwasher tablets. If she moves the dishwasher tablets, she’ll remember what a mess her kitchen is, and how she intended to clean it up. Because she’s exhausted and still hasn’t eaten breakfast. So instead, she’ll hide in her bedroom and write a blog about her misadventures. And that is why Emily should never, ever clean the house. This made my day. Soooo true of myself as well. Wow! And now I will go to bed because I’m super exhausted from reading that! Lol!